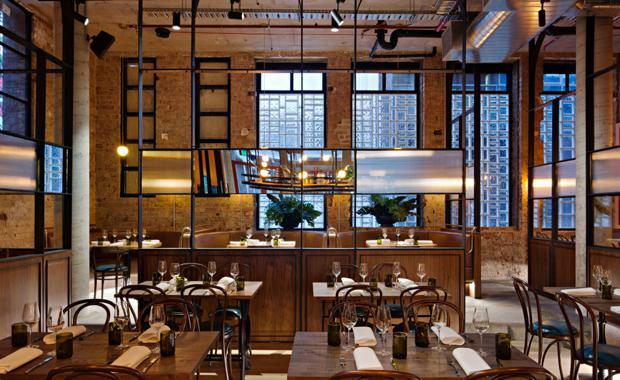 Designed by Technē Architects of Melbourne, the Garden State Hotel at 101 Flinders Lane is a superb, purpose-built four-storey bar and hospitality venue at 95 Flinders Lane. The venue has been completely rebuilt while preserving its distinctive exterior, itself a heritage Victorian era building that began life as a textile mill in 1986. 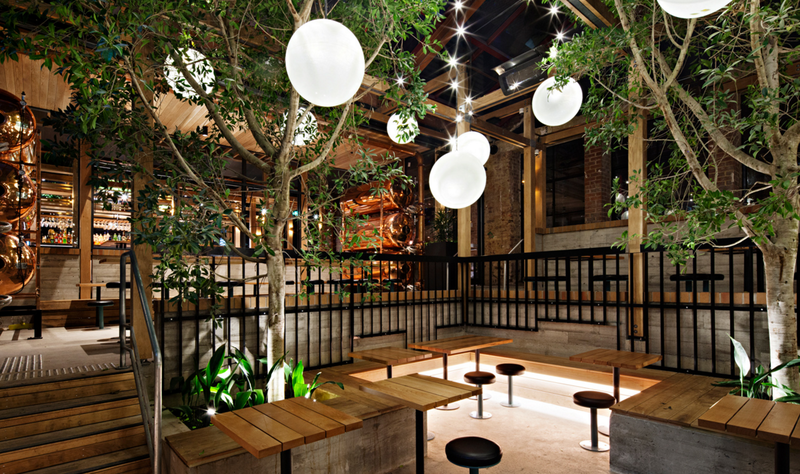 The design centres on a large multi-level beer garden, a startling oasis in the middle of the CBD’s network of laneways. The hugely ambitious 2000 square-metre project, with a capacity for 840 guests, preserves much of the original textile factory’s sawtooth roof while opening its central bays to form a terraced beer garden that has the feel of a Victorian conservatory, a hidden botanical haven to be explored. 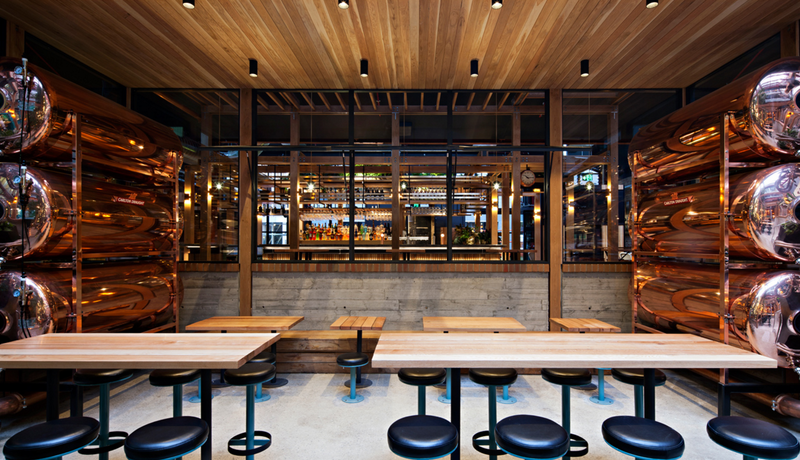 The sprawling four level pub set in the cosmopolitan heart of Flinders Lane. Technē has designed the venue while preserving its stunning exterior as well as other elements of the building's fabric, itself a heritage Victorian era building that began life as a textile mill in 1896. New materials enhance, compliment and draw on the existing characteristics of the site, while displaying an aesthetic very much in the vein of Technē's previous works. The Technē design centres on a large multi-level beer garden, an oasis of sorts in the middle of the Melbourne CBD and a far cry from the multi-level hotel once proposed for the site. There’s room for over 800 patrons across its four floors of hospitality, which include the rose garden, balcony dining room and the observatory among its private function facilities. Technē’s work is informed by elements of art, engineering, environment, sustainability, and economics to form empathetic and cohesive spaces. The studio strives to achieve a rare duality between creative form and commercial viability. Technē’s was founded in 2002 and boasts its layered and textured designs have contributed to Australia’s modern design aesthetic, elevating its architectural expression onto the international design stage.